Wearables might be great for motivating your fitness and making your wrist look colourful, but they're also a great way to improve your skills in certain sports. Take the new and improved Golfer range from TomTom, which have been designed to help improve the speed and cadence of your swing. The new TomTom Golfer 2 and Golfer 2 SE activity trackers enables you to capture your steps and record your active minutes and calories burned throughout the day, on and off the course. 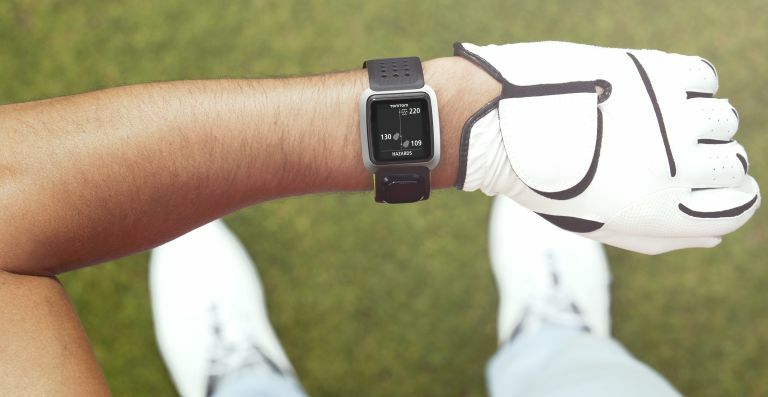 Both wearables offer data on over 40,000 courses worldwide, and come with an automatic shot detection system. You can also get post-game analysis in the TomTom Golfer App including shot patterns, putts and hole by hole review. Sporting a premium strap, the Golfer 2 GPS watch comes in a range of colours, including dark blue, light grey and black. There's also the new Golfer 2 SE, which offers you the key features of the Golfer range such as green and hazard distance views, automatic shot detection and post-game analysis in the app, but at a more attractive price point. The new TomTom Golfer 2 and the TomTom Golfer 2 SE are available in selected golf retailers and on tomtom.com across Europe today. The Golfer 2 will be available from £199.99 and the Golfer 2 SE will be available from £169.99. Handcrafted audio specialist McIntosh is made the trip to Munich to showcase its ever-expanding ranges at this year's High End event, and it's even brought two brand new ones - the MA8900 integrated amplifier and the MCD350 SACD/CD player. The MA8900 Integrated Amplifier offers 200 Watts per channel and is the first product to feature our new McIntosh Monogrammed Heatsinks (which are made from high-quality thermal conductivity properties, making them super efficient at dissipating heat). According to the firm itself, these heatsinks, "are connected to advanced high current output transistors that eliminate thermal equilibrium lag time so that the first musical note played sounds just as good as songs played later in the listening session." Then there's the MCD350 SACD/CD player, which delivers a, "pure playback experience," from SACDs and CDs. In other words, it makes your antiquated (but not quite dead just yet) CDs sound pretty darn good. It features a balanced two-channel, 32-bit/192kHz DAC as well as a 2x read speed so that all discs placed in its rigid aluminum die-cast tray are read at higher speeds. The MA8900 will retail for $7,500 in June, while the MCD350 will set you back $4,500 from July. No word just yet on official UK prices, but expect those to drop pretty soon. Sony today announced two new additions to its growing line-up of full-frame E-mount lenses. The new lenses include the FE 16-35mm F2.8 GM large aperture wide-angle zoom lens (SEL1635GM) and the FE 12-24mm F4 G ultra-wide angle zoom lens (SEL1224G). The SEL1635GM lens brings the high-resolution of Sony’s flagship G Master series to a wide 16-35mm focal length for exceptional landscapes, cityscapes, portraits and more, while the new SEL1224G, Sony’s widest E-mount full-frame lens to date, offers a dynamic new perspective for all Sony E-mount shooters. In total, Sony’s full-frame E-mount lens line-up now covers from the ultra-wide 12mm to super-telephoto 800mm (with teleconverter) focal length range. So whether you're a buddying photographer or a seasoned snapper, Sony has two E-mount lenses you need to own. The SEL1635GM will start shipping in Europe from August 2017 priced at £2,300. The SEL1224G will start shipping in Europe from July 2017 with a price tag of £1,700.